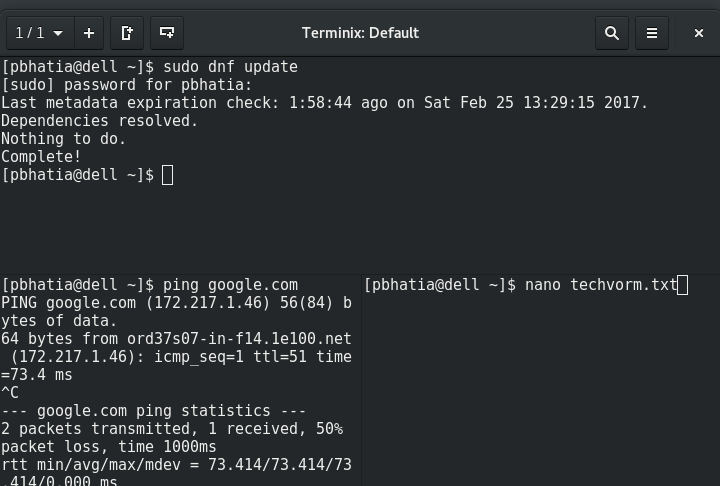 Recently while trying out the Beta 1 of Ubuntu 17.04 (Zesty Zapus) I discovered its default terminal app named Terminix. What’s interesting about Terminix is its ability to support multiple windows and the ability to multi-task without “Alt+Tab” (ing). 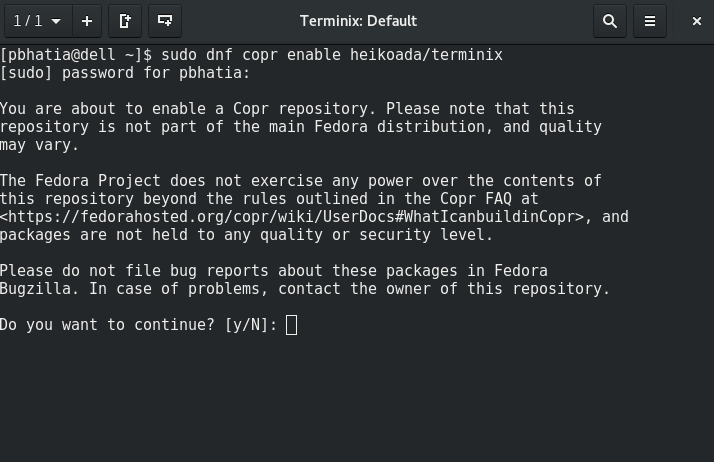 The good news is Terminix can easily be installed on Fedora distribution without much hassle. And that’s it! You should have the app installed and be ready to be more productive! In terms of customization, Terminix supports a lot of them especially in the ways the terminal looks. You can change window style, theme, background image (yeah! ), define shortcuts (lots and lots of them). The list is long and beyond the scope of this article but what’s important is if need be you can bend Terminix as per your preferences.